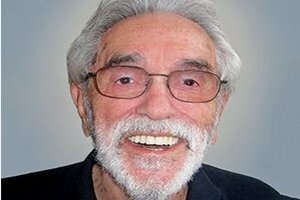 Editor's Note: We're saddened by the passing of family therapy pioneer Salvador Minuchin—and grateful to have honored his legendary life and work at the 2017 Symposium, presenting him a Networker Lifetime Achievement Award. In this recent magazine piece, Minuchin reflects on his upbringing, growing older, and the craft of family therapy. What became the family therapy movement began in the 1950s with a group of bright and curious individuals spread out across the country who were each fascinated in their own way in figuring out how families functioned. Initially, it actually had something of an antifamily attitude, emphasizing how families create pathology in their members, with Gregory Bateson and his group developing the concept of double-bind communication as a way of understanding how families can produce psychosis in children. There was Murray Bowen at the National Institute of Mental Health talking about people being swallowed in the family’s undifferentiated ego mass. And there were others, like Carl Whitaker, Virginia Satir, and Nathan Ackerman. My own early work at the Wiltwyck School for Boys in New York looked at how the characteristics of families of the slums led to delinquency in children. It was only as we began to attract students who were interested in our work that we each encountered the need to conceptualize what we were doing more clearly and develop a coherent theory of practice that we could teach. In 1975, when I wrote Families and Family Therapy, I thought that all therapists needed to do to translate their interest in understanding families into becoming effective therapists was an alphabet of skills---how to join with families, do enactments, create boundaries, and so on. I believed that the poetry of therapy could be derived from this alphabet. But as I got more experience training therapists to use these techniques, it became clear that the techniques by themselves weren’t all that useful. It was therapists themselves who were the instruments of change, and to be effective, they had to recognize the way they were part of the system and the process in the therapy room, not just a neutral observer. Unfortunately, the university training programs of today have shifted from a focus on the self of the therapist to what’s become known as core competencies. These competencies are concerned primarily with how to conceptualize cases and how to structure and engage in therapy sessions. Several competencies refer to the therapist’s awareness of the impact that the family is having on him or her, but overwhelmingly, trainees are expected to be thinking about what to do, rather than on who they are in the room with their clients. The best way I’ve found to understand this kind of self-awareness is to envision a therapist with a homunculus on his or her left shoulder, observing the therapist’s mental processes and engaged in silent dialogues with the therapists as he or she works. All therapists need a range of tools to master their craft, but tools are just that—a means to accomplish an objective. When the carpenter begins with a piece of wood, he has an end goal in mind: to change that wood into something else. The saw, chisel, hammer, and nail are a means of transforming what the carpenter first sees into what he wants it to become. The effective family therapist also uses tools as means to an end, not as ends in themselves. The craft of family therapy lies in how these tools are used to produce a difference in the family—a useful change. An enactment on its own doesn’t move the family, but a therapist who understands that the enactment is a way to view the family’s interaction can shift the process. So the most important tool is the therapist’s use of self in guiding the process of change—and understanding how to use that tool is the biggest obstacle for beginning therapists. Ultimately, learning how to use the silent dialogue with the homunculus on one’s shoulder is central to mastering the craft of family therapy. Besides my understanding of the craft of therapy, the related ideas of belonging and having multiple selves became more and more important in my work over the years. The systems that you belong to—that give you a sense of who you are and make you feel accepted—are the entryway to the experience of multiple identities. I see this now so clearly, both in my work and in my own life. I grew up in a Jewish family in a small town in Argentina that was a kind of shtetl where, up until the age of 12, I didn’t know anybody who wasn’t Jewish. Then at 18, I went to medical school, and my world grew larger. At 20, I was put in jail for three months with a group of other students for protesting against Perón, and my concept of myself changed again: I became an Argentinian Jew who was committed to social justice. From then on, I was a revolutionary and a fighter for social justice, and it seemed natural that I should join the Israeli army, in which I served as a doctor during the War for Independence. Later, when I emigrated to the United States and was on the staff at Wiltwyck School, I was a cultural outsider and found myself identifying with poor black people as I learned to speak English. And as I came to feel that I belonged with the staff and children and families at Wiltsyck, I felt I expanded. So when I look back on my life, I see a sheltered Jewish child, a rebellious young adult, a revolutionary, a soldier, a stammering, helpless immigrant, and many, many, other things. At 95, I think of myself as having journeyed through life as many different people, and I think of a line from Antonio Machado, one of my favorite Spanish poets: “The road is not the road; you make the road by walking.” I hope in my own walking I’ve cleared away some debris for those who will follow. Salvador Minuchin, MD, is a family therapist, author, and teacher. He’s the developer of Structural Family Therapy and is considered one of the founders of family therapy. This blog is excerpted from "The Art of Creating Uncertainty," by Salvador Minuchin, which appeared in our January/February 2017 issue, The Connected Self: Therapy's Role in the Wider World. Read more FREE articles like this on Professional Development. What a lovely succinct note: its reflections on growth, starting with a bit of past history and personal recollection, then continuing with its clear articulation of present/ongoing thoughtful change , serve to encourage us all for both our personal and the field's future... Thank you Sal.